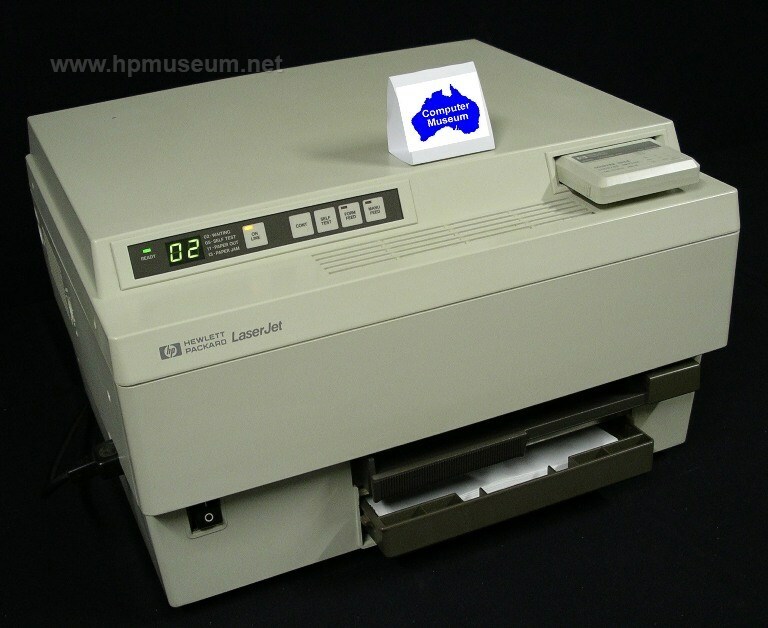 HP introduced its first laser printer (the 2680A) in 1981. This large system printer performed well, but it didn't set any sales records. Nor did the 2687 and 2688 of 1983. It was the original LaserJet that made the first shock waves in the market in 1984. Its low price made it an industry favorite, not just a peripheral to connect to an HP computer. HP prospered with the technology in the same way it had with previous technologies - through innovation. For the first ten years, each subsequent LaserJet generation introduced a significant breakthrough in print quality, speed or features. As importantly, it was through the laser printers that HP really learned how to make money in high-volume products. HP sold a lot of calculators in the 1970s, but the financial scale of that business was dwarfed by the laser printers. HP dominated the laser printer market. As competitors came into the market, HP (perhaps for the first time) used pricing to maintain its position. It had been HP's habit in the past to charge high prices for its products while those products justified a technology premium, then move on to other technologies as competitors caught up. Because of its market dominance, HP generally charged higher prices for its laser printers than did competitors, but those prices were only marginally higher. From a profitability perspective, the laser printing technology that came out of the Boise Division was one of the two most significant ever introduced by the company (the other being inkjet printing technology). These products were developed at HP's Boise Division. Be sure to read Jim Hall's early history of the LaserJets by clicking the documentation link below. Be sure to visit our Supplies and Consumables Catalogs for part numbers and information on all the media, fonts, cartridges, cables and accessories available for these products. Click here for a review of the early days of laser printing and the reasons behind HP's unparalleld success.